This custom RFK from O'Hare Knives sports a CTS XHP steel blade with a flipper opener. 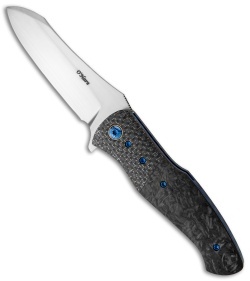 The handle is outfitted with marble carbon fiber scales and silver lightning strike carbon fiber bolsters. 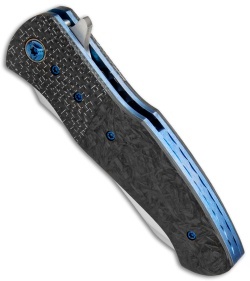 A sturdy bead blasted titanium pocket clip is included for tip-up carry. Blue anodized liners and hardware add a nice finishing touch to the design. Carbon fiber scales with titanium liners provide a solid, lightwieght handle. 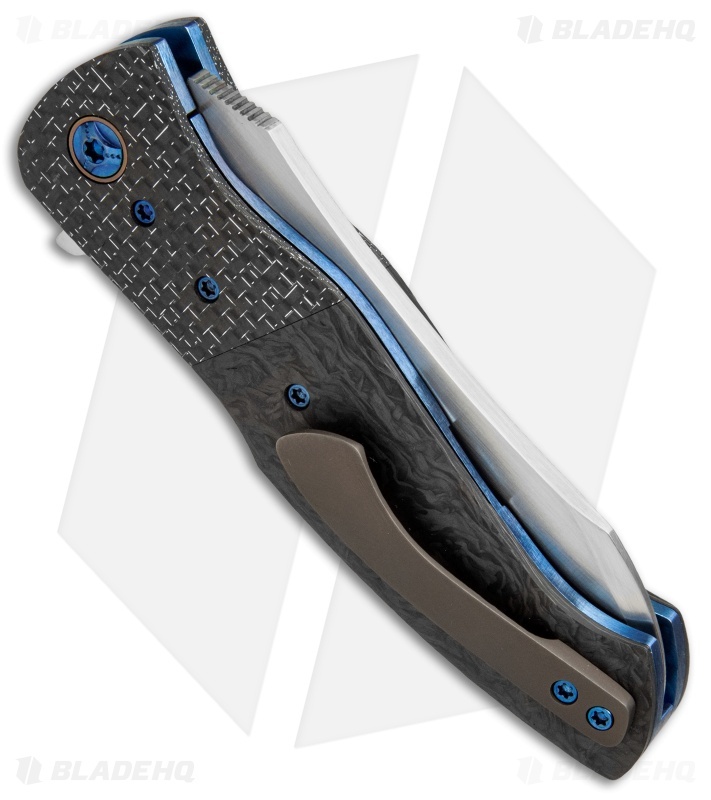 Heavy duty titanium pocketclip secures the knife for comfortable pocket carry. Blue anodized liners and hardware add a collectible appearance to the design.